I recently conducted a jury trial in San Jose that resulted in a hung jury. It was a DUI case where the client was alleged to have a .18 BAC. You might have heard this term on television shows or even the news. 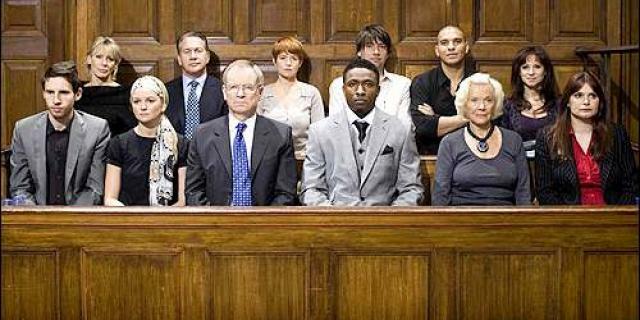 Sometimes at the conclusion of a jury trial, if the jury cannot unanimously reach a verdict, the court will declare a mistrial. When this happens, the judge will bring the jury in to the court, and typically poll them individually, or ask each juror that a verdict cannot be reached. The judge will also typically ask which way the split is, meaning how many have voted for guilt. If, after the judge speaks to the jury, the court determines that they are at an impasse, the judge must declare a mistrial. The Penal Code of California requires this in sections 1140 and 1141. The judge will typically ask the jurors to speak with the attorneys only if they wish to. In my case, the jurors did speak to both the District Attorney and myself, which provided valuable insight. After a mistrial has been declared, there are a few options for what happens next. If the District Attorney wants to, they can insist on trying the case again. However, because their case has been shown to have at least some weaknesses, they often are willing to reduce the charges or offer a resolution that is better than before the case was set for trial. The court may also entertain a motion to dismiss the case. Finally, if the parties cannot reach a decision, the case may be retried again. In my case, it is unclear whether or not the case will have to be retried. If it is, I now know what the District Attorney’s theories of the case are, and can be even more prepared to fight. Pending a recent appeal I have for the office, my client had an unfortunate motorcycle accident and passed away as a result of it. Normally, a criminal client’s death while his appeal is pending would terminate the proceedings and lead to an automatic vacating of the judgment of conviction. The case would then go back to the trial court so it could be dismissed. It is an otherwise good result for us, but for the circumstances that created it. However, in my case, there is a good point of criminal law that my client and I really wished to have decided and published. Fortunately, I have the opportunity to see that the court may still choose to rule on our issue even though my client passed away. See, e.g. In re Sheena K. (2007) 40 Cal.4th 875, 879. I am pleased to pursue the issue and continue my client’s fight. In either event, the results should be the same resulting in the ultimate dismissal of my client’s case. It is just unfortunate he will not be able to enjoy it with me in person. In the ever changing landscape of our Driving Under the Influence defense practice, we have the opportunity to forge some currently unsettled area of the law regarding how California’s Implied Consent Laws impact a client’s blood draw during a DUI investigation. In a current case I am handling, the issue is whether, in the absence of express consent, implied consent laws can be successfully utilized by the District Attorney to save an otherwise non-consensual blood draw from the client? By way of some legal background, in the Supreme Court case Missouri v. McNeely (2013) 569 U.S. ___, 133 S.Ct. 1552, 185 L.Ed.2d 696, a Missouri police officer stopped McNeely and determined he was intoxicated. McNeely declined to use a portable breath-test device to measure his blood alcohol concentration. The officer subsequently placed McNeely under arrest. When McNeely indicated that he would refuse to provide a breath sample, the officer took McNeely to a nearby hospital for blood testing. The officer did not attempt to secure a warrant. At the hospital, the officer asked McNeely whether he would consent to a blood test. Reading from a standard implied consent form, the officer explained to McNeely that refusal to submit voluntarily to the test would lead to the immediate revocation of his driver’s license for one year and could be used against him in a future prosecution. McNeely refused. The officer then directed a hospital lab technician to take a blood sample. McNeely was charged with driving while intoxicated. McNeely argued that the results of the blood test had to be suppressed arguing that under the totality of the circumstances, taking his blood for chemical testing without a search warrant violated his rights under the Fourth Amendment. The McNeely trial court agreed. It concluded that the exigency exception to the warrant requirement did not apply because there were no circumstances suggesting the officer faced an emergency in which he could not practicably obtain a warrant. The Missouri Supreme Court affirmed, recognizing that Schmerber v. California (1966) 384 U. S. 757, 86 S.Ct. 1826, 16 L.Ed.2d 908 “provide[d] the backdrop” to its analysis. The Missouri Supreme Court held that Schmerber directed courts to engage in a totality of the circumstances analysis when determining whether exigency permits a nonconsensual, warrantless blood draw. The court further concluded that Schmerber “requires more than the mere dissipation of blood-alcohol evidence to support a warrantless blood draw in an alcohol-related case.” Finding that this was “unquestionably a routine DWI case” in which no factors other than the natural dissipation of blood-alcohol suggested that there was an emergency, the court held that the nonconsensual warrantless blood draw violated McNeely’s Fourth Amendment right to be free from unreasonable searches of his person. The United States Supreme Court affirmed and found that the natural dissipation of alcohol in the bloodstream does not establish a per se exigency that suffices on its own to justify an exception to the warrant requirement. Such newly announced rules of constitutional criminal procedure must apply “retroactively to all cases, state or federal, pending on direct review or not yet final, with no exception.” Davis v. United States (2011) 131 S. Ct. 2419, 2430, 180 L. Ed. 2d 285. A decision simply becomes part of the body of case law of this state, and under ordinary principles of stare decisis, applies in all cases not yet final. As a rule, judicial decisions apply “retroactively.” Indeed, a legal system based on precedent has a built-in presumption of retroactivity. People v. Guerra (1984) 37 Cal.3d 385, 399, 208 Cal.Rptr. 162, 690 P.2d 635. In Griffith v. Kentucky (1987) 479 U.S. 314, 328, 107 S. Ct. 708, 716, 93 L. Ed. 2d 649, “a new rule for the conduct of criminal prosecutions is to be applied retroactively to all cases.” The justices in Davis, supra, would agree that the McNeely rule applies retroactively and may be invoked “[b]ecause Davis’s conviction had not become final when Gant was announced, Gant applies retroactively in this case, and Davis may invoke its newly announced rule as a basis for seeking relief. See Griffith v. Kentucky 479 U.S. 314, 326, 328, 107 S.Ct. 708, 93 L.Ed.2d 649.” Davis v. United States (2011) 131 S. Ct. 2419, 2422, 180 L. Ed. 2d 285. As a result, individuals charged with driving under the influence who had blood drawn in the absence of their consent, without a warrant and whose cases are/were pending and not yet final on April 17, 2013, are governed by the holding set forth in Missouri v. McNeely. With the above as some legal background, the issue I am involved with turns to California’s implied consent laws. Implied consent laws are used to establish that by accepting a driver’s license, a driver in California agrees to submit to a chemical test if detained on suspicion of drunk-driving. The United States Supreme Court decision in McNeely does not invalidate existing implied consent laws. The seizure in McNeely was expressly non-consensual. McNeely simply requires that if a person revokes their “implied” consent, a warrant must be obtained. No California court has expressly considered whether a blood draw taken pursuant to the implied consent law is justifiable under the Fourth Amendment as a consent search. The constitutional attacks on such implied consent laws simply cite and rely on the Schmerber decision discussed above. In fact, it has been noted that California’s implied consent law “is an adjunct to” Schmerber. Mercer v. Department of Motor Vehicles (1991) 53 Cal.3d 753 at 760. The reading of such cases suggests that any chemical test taken cooperatively pursuant to the implied consent law would have also been constitutionally permissible as a forced test had the person refused to cooperate. However, the issue for me then is this: Is it constitutionally permissible to allow a blood draw under California’s implied consent statutes with warrantless non-exigent circumstances if the draw violates the Fourth Amendment if done forcibly? A blood draw under California’s implied consent statutes and one analyzed under Schmerber and McNeely are different. See McNeely, supra, 133 S.Ct. at 1566; South Dakota v. Neville (1983) 459 U.S. 553, 559-60. See also United States v. Chapel (9th Cir. 1995) 55 F.Jd. 1416, 1419-20. With any Fourth Amendment consent, express or implied, consent still must be free and voluntary, rather than coerced or given in submission to authority. People v. Lawler (1973) 9 Cal.3d 156, 163; People v. Challoner (1982) 136 Cal.App.3d 779, 781. I would recognize that by choosing to drive on highways, drivers are subject to the regulations of implied consent laws. See Troppman v. Valverde (2007) 40 Cal.4th 1121, 1125, 1139. However, California’s implied consent for Fourth Amendment purposes must still be free and voluntary considered under a totality of the circumstances analysis. 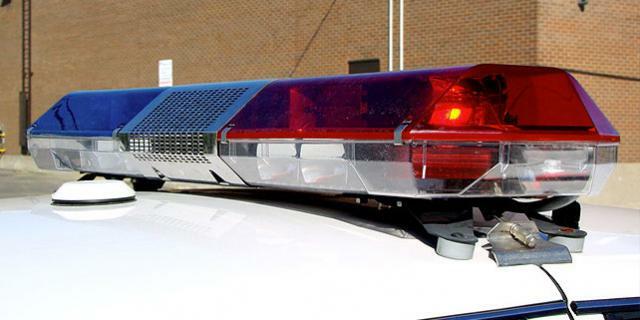 As an example, there are penalties leveled against drivers for refusals to cooperate with such testing upon arrest which would render such perceived implied consent illusory. See California Vehicle Code §§13353 [loss of driving privilege consequences for refusal] and 23577 [enhanced criminal consequences for being convicted of driving under the influence]. See also California Vehicle Code §§23612. It is presumed by law that a drivers is aware of these punishments. Murphy v. Clayton (1896 113 Cal. 153, 161; People v. Munroe (1893) 100 Cal. 664, 670; Bank One Texas v. Pollack (1994) 24 Cal.App.4th 973, 981. 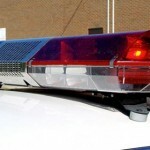 Although not completely dispositive on the issue of consent, the consequences taken in connection with other factors can still render implied consent involuntary. There is no per se exception to consent to trump Fourth Amendment protections simply because a statutory scheme was adhered to. Outside factors can still be considered and utilized in the Court’s analysis in determining the voluntariness of the consent under the totality of the circumstances. This would be consistent with analysis in McNeely and Schmerber. To analyze otherwise would lead to the inevitable conclusion that a driver arrested for driving under the influence would be subject to forcible blood draws in every circumstance under implied consent, disregarding any Fourth Amendment violations, however egregious. Even McNeely notes that the intent is not to do so, suggesting a driver’s refusal to submit to a chemical test under an implied consent law operates as a withdrawal of consent and renders any subsequent test non-consensual. McNeely, supra, 133 S.Ct. at p. 1566. Accordingly, the voluntariness of the consent would follow under a totality of the circumstances analysis that would include the implications and a driver’s understandings of California’ implied consent laws. Thus a driver who does not voluntarily and consensually cooperate with a chemical test pursuant to the implied consent law because of duress or coercion has not rendered consent, and a warrant would be required. Under a totality of the circumstances, ostensible adherence to the requirements of California’s implied consent statutes would not render a blood draw per se constitutionally proper if other factors outside the statutes would compromise the voluntariness of the consent. Conversely, neither is an officer’s failure to comply with the implied consent law an automatic violation of an arrestee’s constitutional rights. Ritschel v. City of Fountain Valley (2006) 137 Cal.App.4th 107, 118. Again, a totality of the circumstances analysis is needed. As I argued, any reliance on implied consent to save an involved warrantless search can still be constitutionally defective. Stay tuned as the issue moves forward and I will provide more through the appeal process. 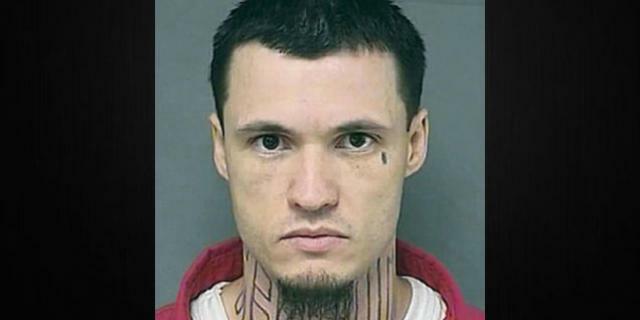 This news article was published this week highlighting a man going to trial on Murder charges who had the mirrored word “MURDER” tattooed on his neck. Wisely, the defendant was concerned that his tattoo might prejudice the jury against him. The constitutional right to a jury trial in criminal matters is one of the great protections of the U.S. Constitution. 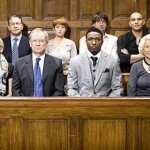 It provides that you will be judged by a jury of your peers. However, the reality is that while jury members are instructed to try to consider only the evidence presented at trial, Jurors are humans, and they are prone, like all of us, to be bias and prejudiced by things that they do not understand. For example, a juror who is not in to tattoo may be prone to being judgmental towards others with tattoos, especially one so shocking as this one. When defendants go to trial, they are usually allowed to get out of the jail jumpsuits that they normally wear, and put on a nice suit, so as not to look like a criminal defendant, and too not unfairly prejudice the jury. This is because, Jurors are susceptible to jump to conclusions based on appearances. 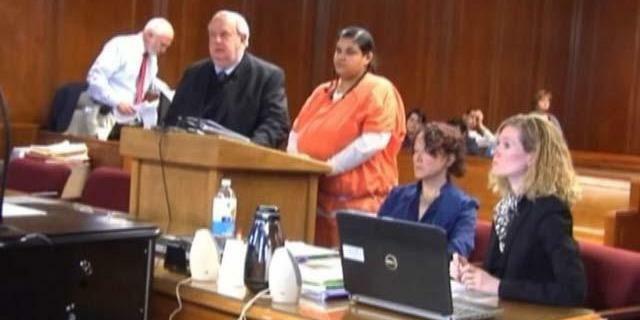 The courtroom can be a highly emotional place, as demonstrated by this video filmed in a Michigan criminal court. Admittedly, criminal cases involve all sorts of facts, some of which can illicit extreme emotional responses from those involved. This includes judges, District Attorneys, Public Defenders, private criminal defense attorneys and defendants. Understanding this fact, and understanding that emotions in a courtroom can have an impact on justice and on people’s lives, it is critical that if you have a criminal case you are protected from infringements on your freedom due to one party being overly emotional. For example, I have represented many clients whose case is being handled by a district attorney who seems to have an emotional reaction to the type of crime being accused. Recently I handled an animal cruelty case which was being prosecuted by an assistant district attorney who seemed very emotionally reactive to the case. After working with this district attorney, it quickly became apparent that she was a true animal lover, and consequently this caused her to despise my client and want to impose a punishment that, in my view, was far too harsh under the circumstances. A skilled criminal defense lawyer is so valuable to you when you are facing criminal charges, as they can identify people and circumstances that seem to trigger extreme emotional response, and make sure that these do not impede your ability to be dealt with justly. 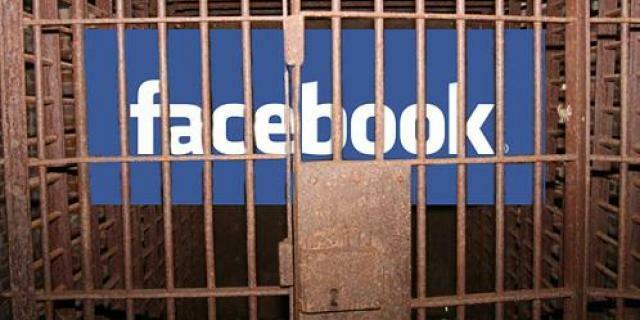 Social Media has been landing people in jail more and more frequently, Colleen Cudney, 22, is learning this first hand. Cudney is on probation from a 2012 DUI conviction, and as part of her probation she is restricted from having any alcohol & is subject to random alcohol testing. According to a Michigan news channel, she was called in for a random alcohol test the day after St. Patricks Day. Here is what she posted on Facebook: “Buzz killer for me, I had to breathalyze this morning and I drank yesterday but I passed thank god lol.”. She allegedly posted that in a status update that was eventually brought to the attention of law enforcement. After bragging about passing the test, when she clearly should have failed. Cudney was called in for another test—but reportedly hung up. Cudney is now due in court for this coming tuesday and may face up to 93 days in jail. I’m speculating when I say, she is avoiding A Urine test which can detect alcohol for up to 80 hours before screening. Once again, please be mindful of how you use social media. However if you do get in a situation similar to this, don’t be afraid to contact us for some free advice by filling the form to the right or calling us directly at (800) 500-5342. It’s no secret, police have access to the internet & social media. If it is easy for the public to see a picture you have posted, it is just as easy for the police to collect and use your social media content against you in a court of law. Posting a picture of yourself smoking marijuana is a crime, and it is a great way for police to begin tracking you down. Some may say that is just ridiculous and it’s just the internet, but if you ask 30-year-old Jeremy Clayton of South Carolina he will advise you that it isn’t ridiculous at all. 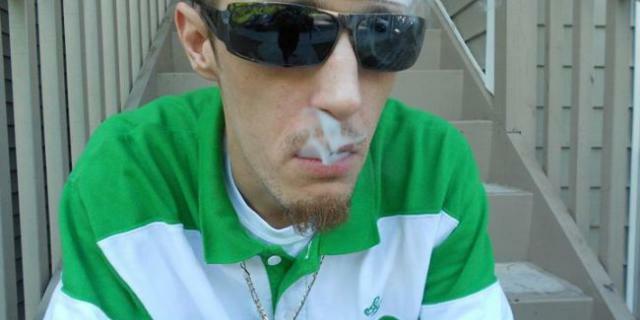 Clayton posted a photo of a half smoked marijuana joint while “giving the bird” to the Richland County Sheriff’s Department website in the background & using marijuana related hash tags. A concerned citizen saw this post and reported it to their local Sheriffs department. Richland County Sheriff Leon Lott assigned the Drug Suppression team to investigate the case. Shortly after the photo on Instagram, Clayton was caught selling marijuana to deputies on three separate occasions. Coincidence? I doubt it. He is now being charged with felony distribution of marijuana and could be facing up to five years in prison. That’s a rather stiff outcome for what started as a simple Instagram photo. With all this in mind, we would just like to remind you to pay attention to what you put into the world of social media, anything found on these sites can be used against you in a court of law. Driving Under the influence is one of the most committed crimes in the state of California. Checkpoints are an easy way for law enforcement to, “shoot fish in a barrel.” It is very easy for officers to maintain an arrest from a DUI at a checkpoint because they are legal in the state of California. But, you may now know that DUI checkpoints are illegal in 12 other states. The California Supreme Court upheld a decision of the lower court that found that sobriety checks are constitutional. In the landmark California Supreme Court case: Ingersoll v. Palmer (43 Cal.3d 1321 (1987), the Supreme Court established several requirements that police officers must adhere to, so that the stop is valid and does not violate your constitutional rights. 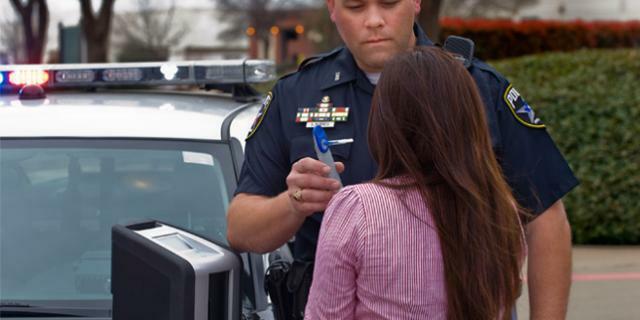 At a DUI checkpoints officers evaluate your sobriety within a brief period. They are looking for objective symptoms of intoxication: bloodshot/watery eyes, slurred speech, or even alcohol odor. If even one symptom is readily available “bloodshot/watery eyes” the police officer is entitled to pull you over for subsequent DUI investigation. If there are no symptoms present, they must release you from the minor detainment. 1) Need to publish in advance of the checkpoint: this requirement is a integral to lower the interference of the DUI checkpoint and boost its prevention in reducing DUI cases. 2) Time and circumstances of detention: this requirement is in place in order to limit the time that the DUI is invasive in your life. Law enforcement is only allowed to detain you for the time necessary to look for objective symptoms of intoxication, then need to let you be on your way. 3) Location: this requirement is due to a number of factors including: safety of the public, proper and adequate lighting, appropriate number of cars in proportion to the stop, officers have to be in uniform, and high DUI needs to be proven in that specific vicinity. 4) Supervising Officer needs to be present: this requirement is in place to protect citizens from improper selection of cars. Supervising officer has full control over the DUI Checkpoint including but not limited to time, location and which cars to stop for example the supervisor can select every 5th car or every 10th car. They cannot select you based upon what you look like or what type of car you are driving at the time. All of this being said you might still have the question,” How do I get out of a DUI checkpoint” and that brings me to my last requirement #5. 5) A motorist has to have ample opportunity to leave the DUI checkpoint if they do not wish to stop: Most people do not know this but you do not have to stop at a DUI checkpoint. Further, you may not be stopped and briefly detained just because you simply tried to steer clear of the checkpoint. It is also required that officers post visible lighted signs that a checkpoint is coming up soon. Finally, there needs to be a legal place to turn out or around to go a different way. But, if you commit some sort of vehicle code violation, for example: an illegal u-turn, then there is probable cause that a traffic offense occurred in the presence of an officer and they can get you to the side of the road legally. BOTTOM LINE: Avoid DUI checkpoints at all costs because you can do it legally without committing a vehicle code violation in the presence of an officer. that is how you can get out of a DUI checkpoint. This coming New Years Eve, California DUI check points are rumored to begin the use of an Instant Drug Test system known as the ‘Dräger DrugTest® 5000’. This drug tester that is only available to Law Enforcement can detect amphetamines, designer amphetamines, opiates, cocaine and metabolites, benzodiazepines, cannabinoids and methadone almost instantly. In just a few minutes, this quick & painless drug test can be administered by law enforcement at DUI check points anywhere. Here is how the test is administered: The donor will place the Drager 5000 collector inside his or her mouth and, by using a sideways motion between the cheek and gum, takes an oral fluid sample. As soon as sufficient fluid has been gathered, the built-in indicator will turn blue and the test cassette can be handed back to the Officer. With all the new drug & alcohol detection technologies available, this is just another reminder; do no not drink and drive. For those of us who were grew up in the 1980’s, Kelly Lebrock made a lasting impression in her role as Lisa in the movie Weird Science. Unfortunately, she has landed in a bit of trouble. According to TMZ.com, Ms. Lebrock was arrested near Santa Barabara County California on suspicion of DUI. However, being arrested for DUI does not necessarily mean someone will be charged with DUI, much less convicted. Further, being arrested for DUI does not always result in jail. 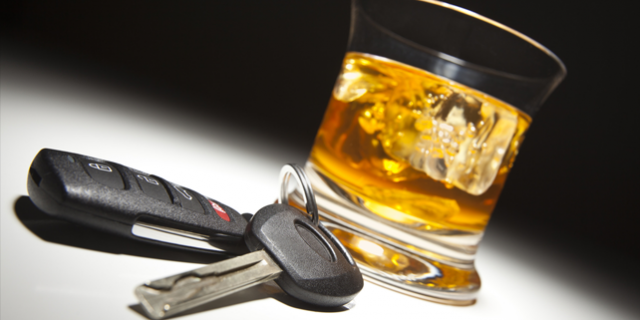 An experienced DUI attorney can go a long ways towards helping in this regard. Assuming this report is accurate, Ms. Lebrock will need to have an experienced DUI attorney review her case to determine if she was stopped legally. When I say legally, I am generally referring to whether the stop was consistent with the 4th amendment of the United States Constitution. 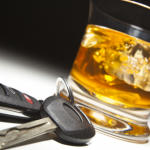 Many stops are made illegally and an experienced DUI attorney will know how to spot this. If it is believed that the stop was illegal, Lebrock’s DUI attorney will file a motion for a suppression hearing where he will attempt to have the evidence collected as a result of the stop ( presumable her blood alcohol concentration) suppressed. Aside from determining whether the stop was legal, it will also need to be determined whether her arrest was legal. After that, it will need to be determined whether Ms. Lebrock was impaired while she was driving. That raises a whole host of issues. Remember, in a criminal case, the state carries the burden of proving beyond a reasonable doubt that the crime was committed. Guilt beyond a reasonable doubt is a high standard. Consequently, if you are ever arrested, you should not assume that an arrest means you will necessarily lose your license, be convicted, or go to jail. The state carries that burden of proof, and their are many way that a skilled DUI Attorney can help you with your case.